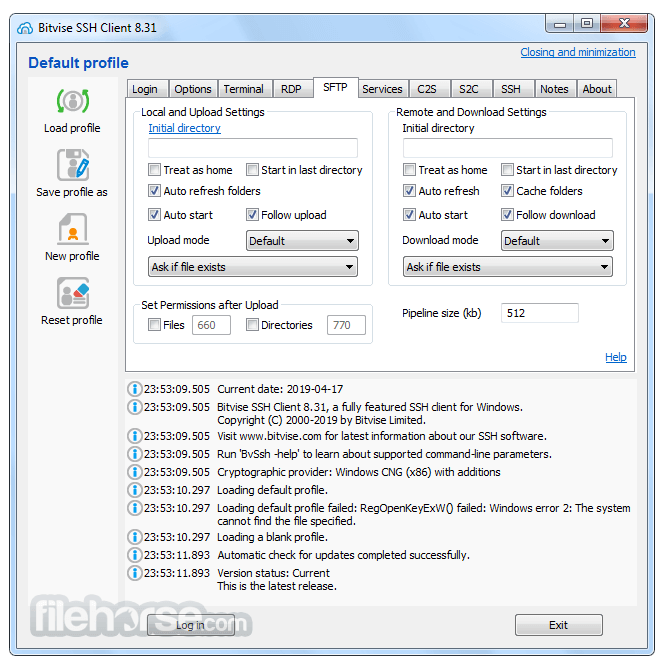 Bitvise SSH Client for Windows is a free SSH terminal, tunneling, and SFTP file transfer client with both graphical and scriptable command line interfaces. It supports all desktop and server versions of Windows! 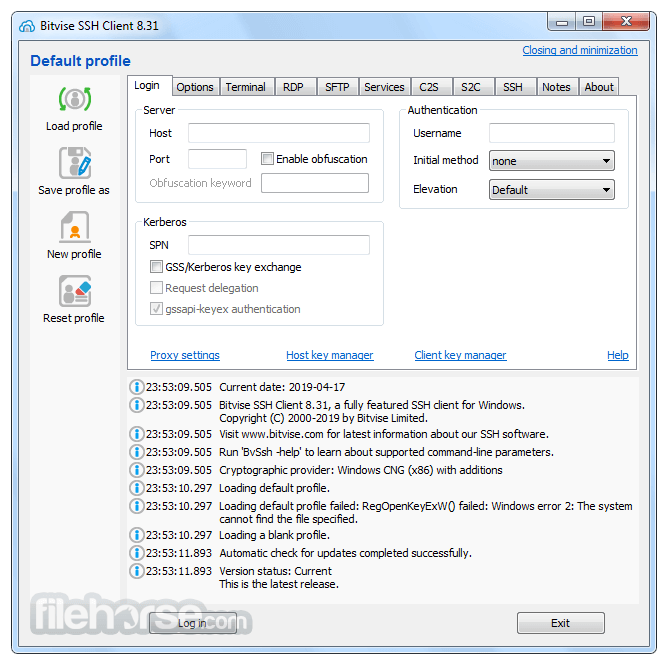 Bitvise SSH Client is free to use! .NET SSH library, FlowSshNet, with example PowerShell scripts showing how to use the SSH library for file transfer and remote program execution from PowerShell. Note: Bitvise SSH Client is free for individual use.